Q. My wife and I currently have a mortgage of $297,000. On top of that we’ve had to dip into our line of credit (unsecured) to the tune of $44,000. I’m trying to determine whether or not it makes sense to withdraw the $44,000 – plus the withholding tax – from my RRSP. I currently participate in a DB pension and am in a fairly safe/steady employment position. My RRSP is currently sitting at $150,000 and my salary is approximately $115,000. Re-financing is going to cost quite a bit and wouldn’t necessarily cover the full debt load. A. I don’t want to be one of those judgemental financial experts who tells you that if you have had to dip into your line of credit to the tune of $44,000, you’re spending too much money. Life happens and sometimes there are expenses that go beyond our budget. Obviously if you guys are continuing to run up your line of credit balance though, that’s not sustainable forever, Tom. But you know that. 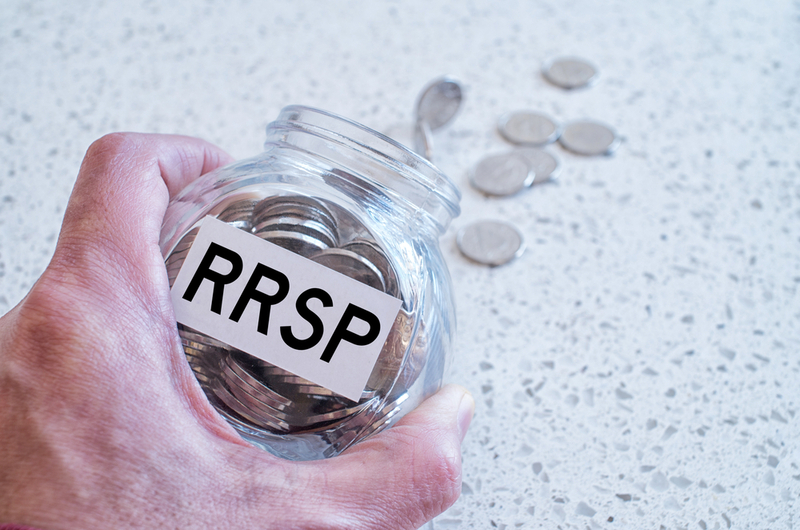 RELATED: I’m retired, should I contribute to an RRSP or a TFSA? With regards to your RRSP withdrawal plan, I think it’s important to clarify that the withholding tax is not the final tax on your withdrawal. An RRSP withdrawal is fully taxable income and gets added to your other income for the year when determining tax payable on your tax return. Tax already withheld gets credited, but you will owe more tax over and above. You have an income of $115,000 and you’re in a pension plan, so I’ll estimate your taxable income at $105,000 after pension and other deductions, Tom. If you want to have $44,000 after tax from your RRSP withdrawal, you will probably need to take a withdrawal of about $80,000 from your RRSP. It could be more or less depending on the province you live in. In Ontario, it would be about $81,000. In Quebec, about $86,000. And in Saskatchewan, only about $76,000. In the same way claiming a tax deduction from an RRSP contribution can be great when you have a high income, taking withdrawals when you have a high income can be terribly taxing. So, Tom, you may need to take out nearly twice as much from your RRSP as you need to be left with what you want after-tax. RELATED: Should I cash my RRSP to pay off my mortgage? I suspect your line of credit interest rate could be 6-8% if it is an unsecured line of credit. You may not be able to generate an 8% RRSP return over the long-run, but 4-5% in a balanced portfolio or 6-7% in an aggressive one may not be unrealistic. If you were contemplating a TFSA withdrawal, with no tax payable, I’d be all for swapping investments for debt repayment. But let’s do some quick math on the assumption that you’re an Ontario resident contemplating an RRSP withdrawal. You’d need to take a withdrawal of $81,000 from your RRSP to have $44,000 after-tax. Let’s say you are giving up a 4% return on your $81,000 in investments – that’s $3,240 per year. Let’s say your $44,000 line of credit is at 8% interest – that’s $3,520 per year. Not much difference, right? But you’d have to give up $37,000 of RRSP capital in the form of tax to wipe out the line of credit. I think I would be much more inclined in your case to continue to plug away at debt repayment, Tom. If you could consolidate your line of credit into your mortgage, that would be ideal as you could bring your interest rate down. If it means you don’t pay your debt off for longer or even into retirement, you may be better off in the long run by not raiding your RRSP in a high-income, high-tax year. Given you have a DB pension, you may have a fairly high income in retirement as well, but likely nowhere near what your income is now. Plus, in the meantime, you will have a bigger RRSP growing more and more over time that you can strategically withdraw in retirement. Cashing in investments to pay down debt is well worth considering if those investments are non-registered or TFSA investments. But when it comes to RRSP withdrawals, I think you need to have a low income to make it a viable solution, Tom. You should contribute to RRSPs in high income years, not withdraw, unless there is an incredibly extraordinary situation. A bit of unsecured line of credit debt isn’t extraordinary in my opinion.